What happens when the most popular guy in school falls in love with his beautiful female equivalent? A pompous Rahul is head over heels in love with Seema, a shy lady from the same school. After a whirlwind of innocent encounters, their teenage romance blossoms but the two never confess their love for each other. Friends and even a few teachers approve of their relationship which is no secret to anyone thanks to Rahul’s flaunting nature. Seema, on the other hand, finds it difficult to handle the unnecessary attention she gets due to Rahul’s ostentatiousness. What follows is a series of misunderstandings and ego clashes causing them to drift apart. Rahul loses his popularity, his numero uno status, his sanity and ultimately his love. By the time he realizes what he has lost, it’s too late. He takes desperate measures to woo her back and win back her respect, her love. But will Rahul ever get back Seema? And will Seema ever realize how much Rahul loves her and all the misunderstandings that transpired between them? Is there really any room for misunderstandings in love? In today’s world, can a person’s first love ever be his last? 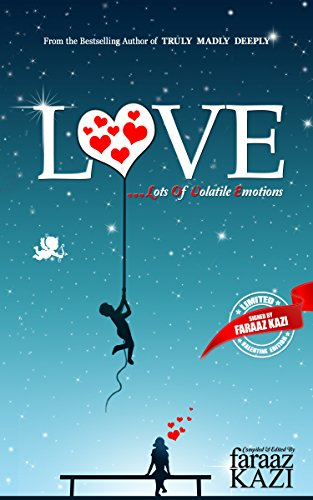 Written in a simple elegant manner, this teenage love story seeks answers to so many innocent questions as it alternates between the past and the present events in the life of Rahul and makes you wonder; do all ♥ stories have a happy ending? Or do all love stories end, ever? TRULY, MADLY, DEEPLY promises to be a heart-warming and emotion filled tale that will captivate the reader’s heart and fascinate their mind and leave them pondering-DoEs LoVe ReAlLy CoNqUeR aLl OdDs? What happens when the most popular guy in school falls in love with his beautiful female equivalent? A pompous Rahul is head over heels in love with Seema, a shy lady from the same school. After a whirlwind of innocent encounters, their teenage romance blossoms but the two never confess their love for each other. Friends and even a few teachers approve of their relationship which is no secret to anyone thanks to Rahul’s flaunting nature. Seema, on the other hand, finds it difficult to handle the unnecessary attention she gets due to Rahul’s ostentatiousness. What follows is a series of misunderstandings and ego clashes causing them to drift apart. Rahul loses his popularity, his numero uno status, his sanity and ultimately his love. By the time he realizes what he has lost, it’s too late. He takes desperate measures to woo her back and win back her respect, her love. But will Rahul ever get back Seema? And will Seema ever realize how much Rahul loves her and all the misunderstandings that transpired between them? Is there really any room for misunderstandings in love? In today’s world, can a person’s first love ever be his last? Written in a simple elegant manner, this teenage love story seeks answers to so many innocent questions as it alternates between the past and the present events in the life of Rahul and makes you wonder; do all ♥ stories have a happy ending? Or do all love stories end, ever? TRULY, MADLY, DEEPLY promises to be a heart-warming and emotion filled tale that will captivate the reader’s heart and fascinate their mind and leave them pondering-DoEs LoVe ReAlLy CoNqUeR aLl OdDs? "It is warmly recommended to readers of all ages who have a strongly romantic bent of mind. Young rush of passion!" 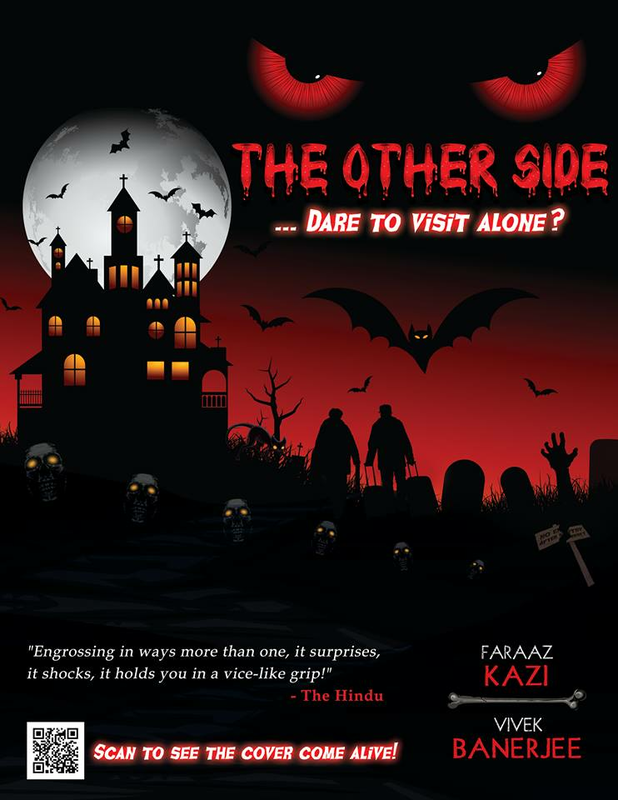 "The author Faraaz Kazi does a brilliant job. Even those who don't care too much for romantic stories will have a moist eye or two at the end." "A fascinating, roller-coaster tale of teenage love. Kazi’s penchant for detail is impressive and makes the book an alluring journey for all die-hard romantics." -Tuhin Sinha, best-selling author of ‘That thing called love’ and ‘Of Love and Politics’. "The first book of an author always has a piece of the author's soul in it. Faraaz has his soul in this one." -Abhijit Bhaduri, best-selling author of ‘Mediocre but Arrogant’ and ‘Married but Available’. -Chandru Bhojwani, author of 'The Journey of Om'. "Faraaz has an easy narrative. This style will go down well across a wide spectrum of readers. Definitely a promising young author." 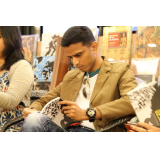 -Rashmi Kumar, author of ‘Stilettos in the newsroom’. "Here is yet another beautiful tale of two lovers that reaffirms the 'power of love' as it takes you on a poignant journey of two innocent hearts... which rouses your curiosity, fascinates you with its beauty and tugs at your heart... till you give up being a critical reader and deeply wish for a 'Happy Ending' for the lovers! " -Sujata Parashar, author of ‘In pursuit of infidelity’ and ‘In pursuit of ecstasy’. "Amazing cover, crisp detailing, wry wit, melodious and prosaic, refreshingly original... Faraaz has woven magic on paper - one that swiftly transports my soul into an era brimming with teenage dreams and pulsating hope." -N. Sampath Kumar, author of 'Love on velocity express' and ‘Campus Cola’. -Sarat Kasyap, author of ‘At 5, San Thome’.